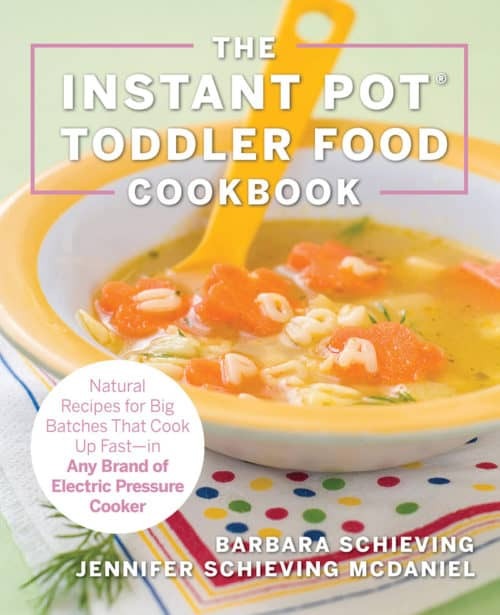 I’m so excited to officially announce my latest project: The Instant Pot Baby and Toddler Food Cookbook: Wholesome Recipes That Cook Up Fast in Any Brand of Electric Pressure Cooker. These books walk you through the process of making healthy foods in the electric pressure cooker for your littlest ones. Update: The black and white single volume books are released and available for purchase: The Instant Pot Baby Food Cookbook and The Instant Pot Toddler Food Cookbook. 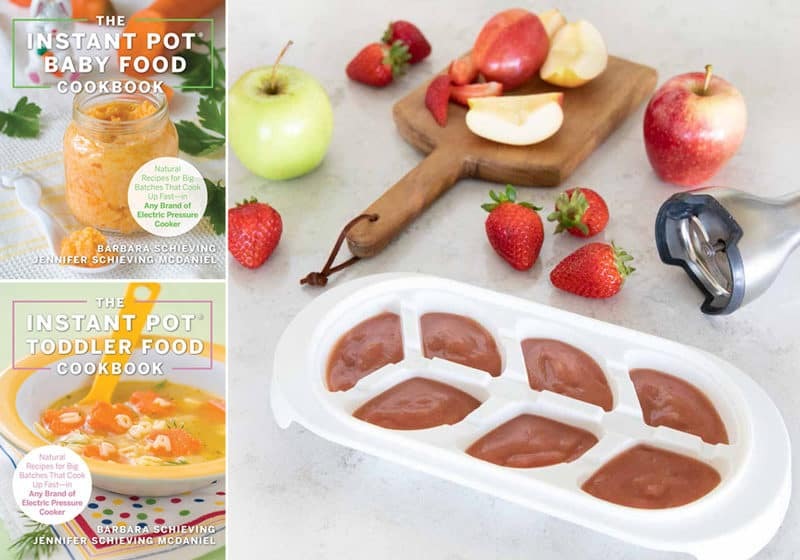 This fall, the book will also be released as a single volume, The Instant Pot Baby and Toddler Food Cookbook, which will be printed in full color and will feature a number of color photos of the recipes. 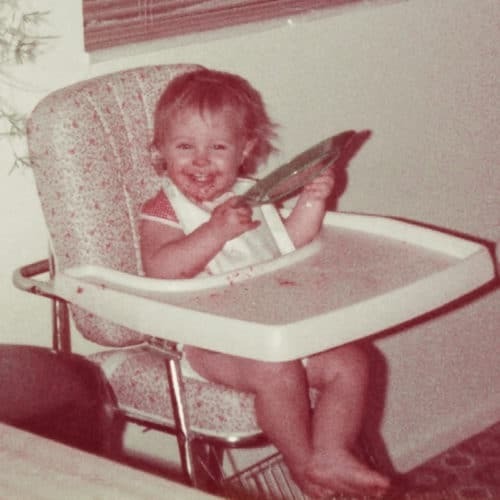 When my publisher approached me about doing a baby and toddler food cookbook, my mind went right to my daughter, Jennifer. She was expecting, and her new little one would be ready for solid foods right around the time these cookbooks would hit the market. It seemed like it was meant to be! Since it had been years since I’d cooked for my own babies, I asked Jennifer to join me in writing this book. Jennifer is an accomplished cook in her own right. She uses the pressure cooker as much as I do—or more often, if that’s possible! And she has plenty of experience making baby food and customizing toddler meals for her two boys. 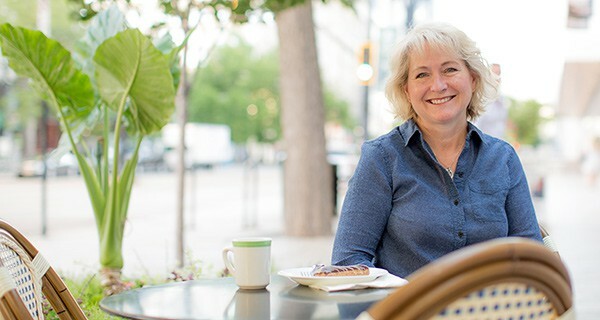 She’s also a big-time reader, especially when it comes to her kids, so I knew that she’d be up-to-date on the latest recommendations for feeding babies and toddlers. Whenever possible, we try to cook meals from scratch. Not only is the food better tasting, but we know exactly what ingredients we’re eating and can control the levels of salt, sugar, and fat in our foods. When feeding babies and toddlers, it’s especially important to ensure they’re eating foods that will give them the nutrition they need. The food habits you want for your children in elementary school and beyond won’t magically develop when they hit a certain age—these habits are built from the very beginning. 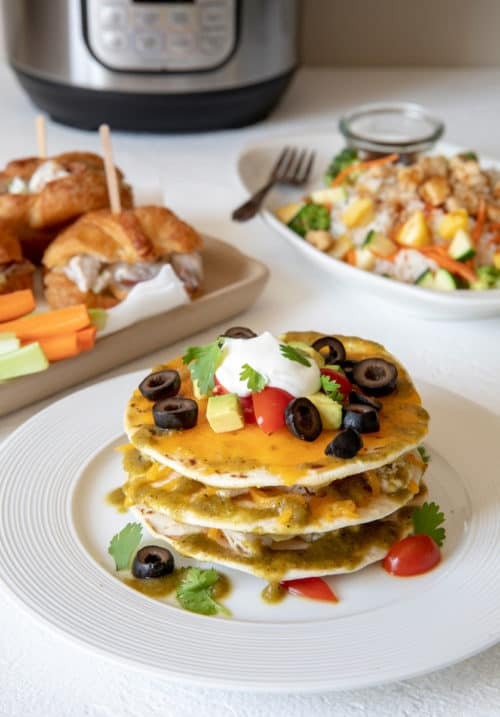 These recipes will introduce your child to a wide variety of healthy and delicious meals, taking them from first foods to eating with the family. Ultimately, we believe that there are many wonderful approaches to pressure cooking and many great approaches to feeding your family. The “right” form of cooking is the one that works with the time you have and the way you want to feed your family! In this cookbook, we’ve done our best to help make feeding your baby easier and faster. The pressure cooker is a fantastic tool you can use to create healthy, nutritious meals for your baby! 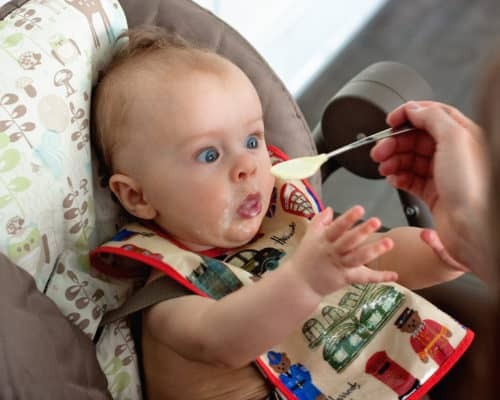 The cookbook begins by discussing baby feeding practices and introduces readers to the basics of preparing baby foods in the pressure cooker as well as providing safe storage and serving guidelines. 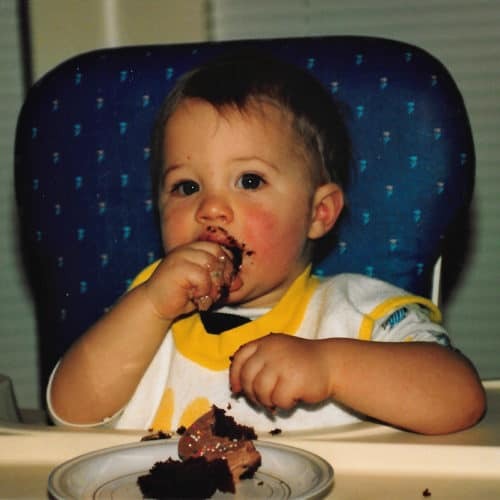 We’ve included a wide variety of recipes that will take you through baby’s first foods to baby’s first birthday celebration. 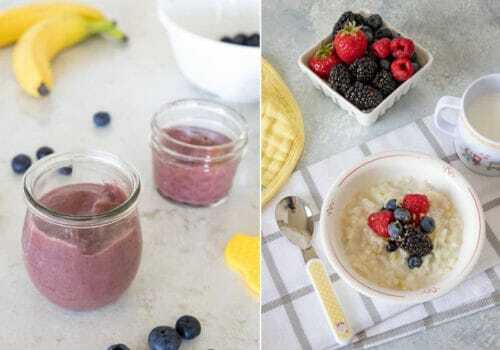 The recipes introduce babies to simple fruits and vegetable purees, then expands to combination fruits/veggies, grains, and meats/dinners with more complex flavors and textures. Whether you plan to cook just a few foods, batch cook a week’s worth of meals, or make every bit of your baby’s food from scratch, this book will guide you through the process! 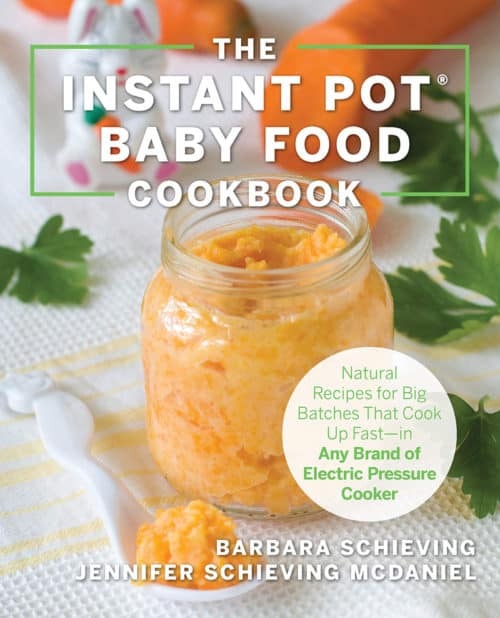 If you’re interested in preordering the black and white copy of The Instant Pot Baby Food Cookbook, you can do so here. In this cookbook, we’ve taken our family’s favorite recipes and toned down the seasonings and sugar content to introduce your toddler to grown-up food without overwhelming their sensitive palates. 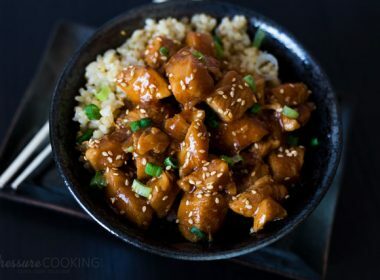 Think of these recipes as training wheels for family eating! These recipes will introduce young eaters to a variety of foods and allow parents to customize the seasonings and ingredients to accommodate toddlers’ changing preferences. 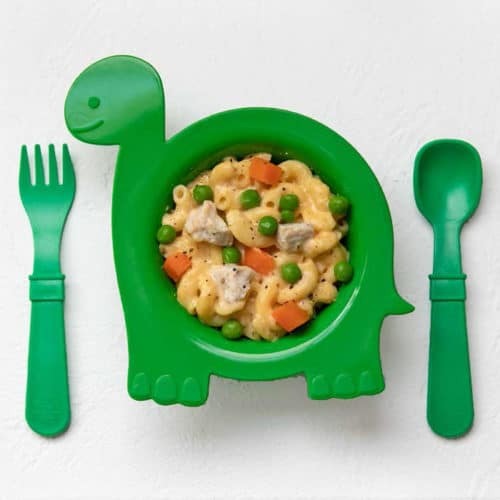 We have also included several points where you can remove a portion of the meal specifically for your toddler before finishing the recipe, allowing you to eat like a grown-up and still accommodate your toddler. One of the concepts we are excited about are our lunchtime recipes. These “three-way recipes” are designed to minimize your cooking—cook the protein one day and use it to create three easy meals. No eating the same leftovers multiple times a week (unless you want to)! If you’re interested in preordering the black and white copy of The Instant Pot Toddler Food Cookbook, you can do so here. 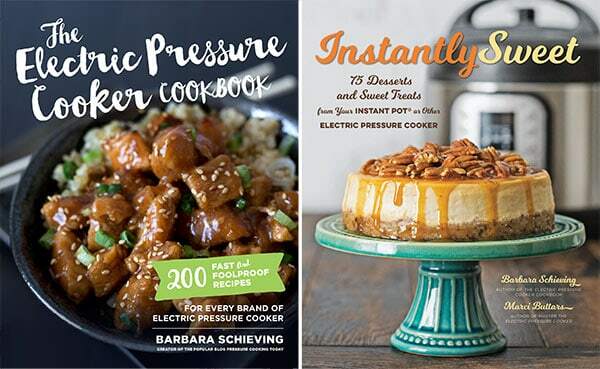 Right now, only the black and white separate copies of The Instant Pot Baby Food Cookbook and The Instant Pot Toddler Food Cookbook are available for preorder. I’ll be sure to let you know as soon as the color copy becomes available for preorder as well. Writing these books with Jennifer was so much fun that I’ve invited her to become a regular presence on Pressure Cooking Today. Jenn has been my behind-the-scenes operator helping me broadcast my Facebook Live videos. She’s been helping me stay on track with my websites. With the cookbooks, she’s tested pretty much every recipe in every cookbook and has helped me fine-tune the text. 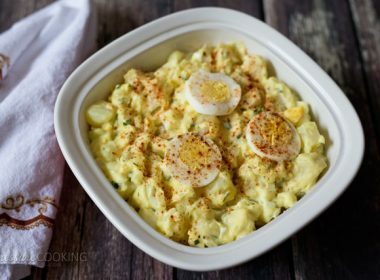 With her two little boys, Jennifer and her husband have become experts at using the electric pressure cooker to make busy weeknight meals and big-batch breakfasts. Hi everyone! I’m thrilled to be here! When Mom first got into pressure cooking, I’ll admit I was totally intimidated. The weird noises and huge jet of steam were unlike any method of cooking I’d encountered. 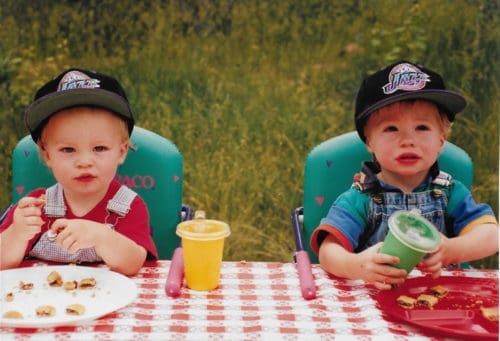 Since my husband and I were both working at the time, we stuck to our crockpot, despite Mom’s frequent encouragement. All that changed after my son was born and my little family moved in with Mom and Dad while we built a new home. Mom shared her kitchen with me, and I saw first-hand how quick and easy it is to make meals in a pressure cooker. I was hooked! Mom gave us an Instant Pot for Christmas that year, and we’ve never looked back. At this point, we have one for the main dish and one for sides. I can’t really remember how we made meals without it! 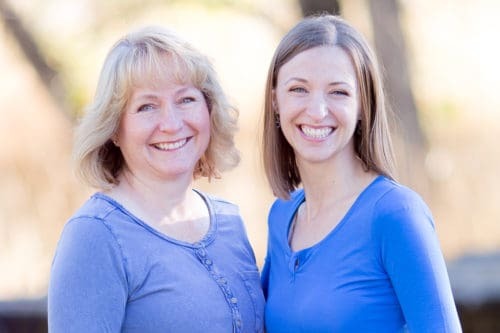 We’ve become the Q&A on-call for our friends and family, and we’ve even been able to teach classes to church groups and friends about how easy it is to cook great meals in the pressure cooker. I look back at my history as a cook—my mom once bought me a timer to wear because I kept burning cookies that I’d start baking and forget about them while they were in an oven—and I can’t help but be grateful for mom’s patience and guidance. If I can become a good cook, anyone can! I’m so excited to start sharing some of my family’s favorite recipes with you! I am a new mom, and looking for a suitable cookware (read: hassle free, timesaving and easy to use) to prepare wholesome food for my baby. 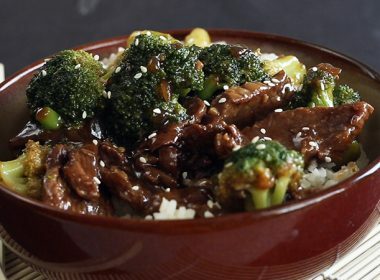 The instant pot seems to fit the bill. do you have any particular instant pot that you will recommend that is safe to use to prepare food for babies, given the concern of toxins released by certain cookware materials? I think a 6 quart Instant Pot would be a great fit for you and your little one! I talk about pressure cooker equipment in our cookbook. All name brand Instant Pots come with a stainless steel pan so you don’t have to worry about toxins from those pans. 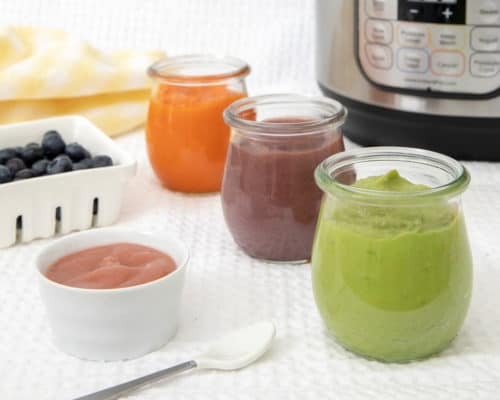 If you’re interested in a sterilize feature, the Instant Pot Duo Plus offers that. (For the record, there’s some discussion on whether it gets quite hot enough to truly sterilize in a medical sense, but it does get hot enough to sanitize well, so unless you’re dealing with a preemie I think it’s a great feature for cleaning binkies or bottle parts.) You could also run a steam setting on the regular Instant Pot Duo or on the more expensive models and get the same sanitizing clean. Yay!!! I’m so excited that it’s finally official. My daughter has recently found a ton of excitement being in the kitchen and looking at you guys makes me dream of a similar future. No man better take my daughter too far from me! What a dynamic duo you guys will be! So nice – thank you! I am very fortunate to have Jenn living 10 minutes from me and having so much in common. Congratulations to both of you. This makes me so happy!!! Made your mac&cheese last night in the pressure cooker!!! Congratulations to both of you on such a perfect collaboration of recipes and on the arrival of your newest addition to the family. I am excited to preorder THE INSTANT POT TODDLER FOOD COOKBOOK for my granddaughter-in-law since she is now familiar with the operation of the Instant Pot that my daughter and I gifted her last Christmas. This will be helpful in making many wholesome meals for my Great Granddaughter “Amy Rose” that is now just over a year and a half. It will be great to “see” you here, Jennifer! 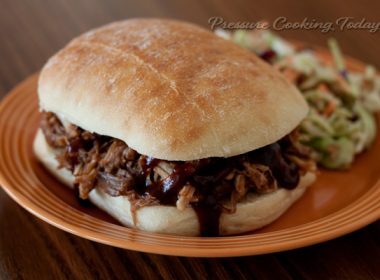 You do a great job with your Mom’s videos-can’t wait to see all your ideas, tips and recipes for pressure cooking. 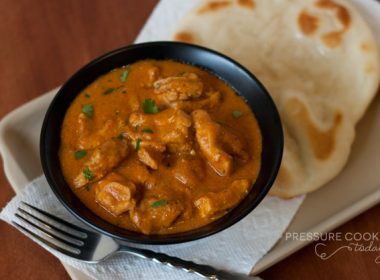 Like you, I don’t know what I’d do without my pressure cookers-they get a good workout every week. Thanks Carol! You support means so much to us.